Cony's Dalton Bowie keeping his health in focus. HALLOWELL — Dalton Bowie remembers well how it happened. 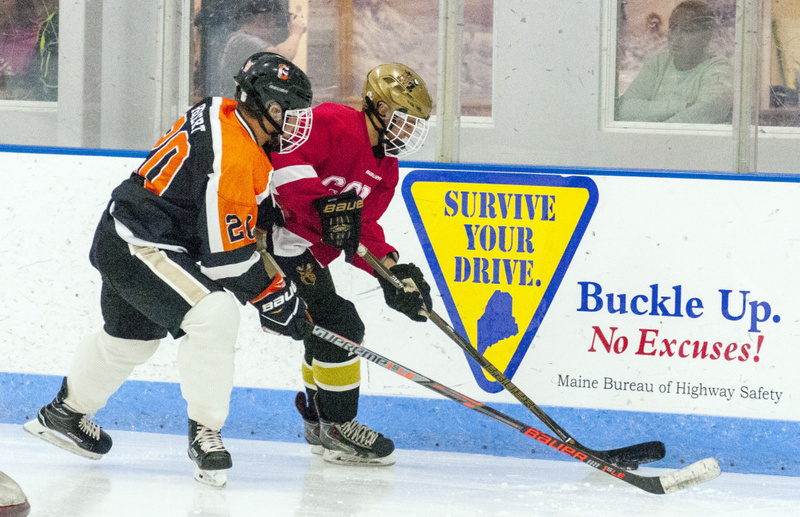 Having just completed his sophomore season at Cony High School, gearing up for the goaltending battle that was setting up for the Rams in the coming winter, Bowie hit the ice for a men’s league game at the Camden National Bank Ice Vault. A random summer evening, a blistering slap shot from the point, and the course of Bowie’s high school hockey career was changed. Bowie missed the start of preseason last winter, and the Rams were unsure how soon — or for how long — he might return to the lineup. 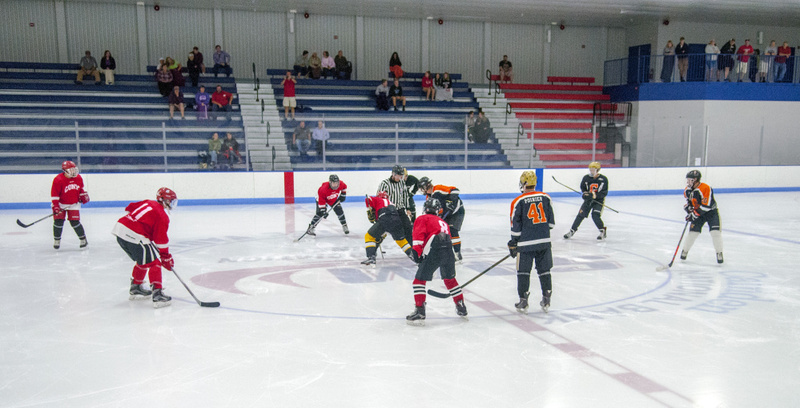 Friday night, Bowie was back at the Ice Vault, standing between the pipes for a high school summer league game against Gardiner Area High School. Though the late-July meeting between the Rams and Tigers lacked any of the spirit, emotion or energy of a typical in-season meeting between the traditionally bitter rivals, there was still plenty of nervous energy along the Cony bench in Gardiner’s 8-3 win. As a rule, offseason ice time is tough to come by for goaltenders. There are no practices for summer league teams, and there are only so many opportunities to play a pick-up game on a weekday morning. Summer league games are, by and large, the only opportunity netminders have to simply see picks at game speed. For Gardiner, freshman-to-be Max Dearborn was solid early on for the Tigers as the Rams carried the early play. Summer league, for him, has been his first taste of hockey at the high school level. Like Bowie, Dearborn is using the summer as a chance to get up to speed. But unlike Bowie, whose stellar junior season all but assures him of entering the winter as one of the top returning goalies in Class A, Gardiner has a void. Three-year starter Michael Poirier has graduated, and the Tigers will look to anoint a new starting goalie this winter. Dearborn thinks he can be in the mix. “I really think I can work hard and try to get it,” Dearborn said of the varsity starting job. The pace of play isn’t a concern for Bowie, whose 1.83 goals against average led all of Class A North last season. Instead, it’s learning better ways to keep himself protected that makes his starts in the summer valuable as he prepares to carry the Rams on his shoulders come November. 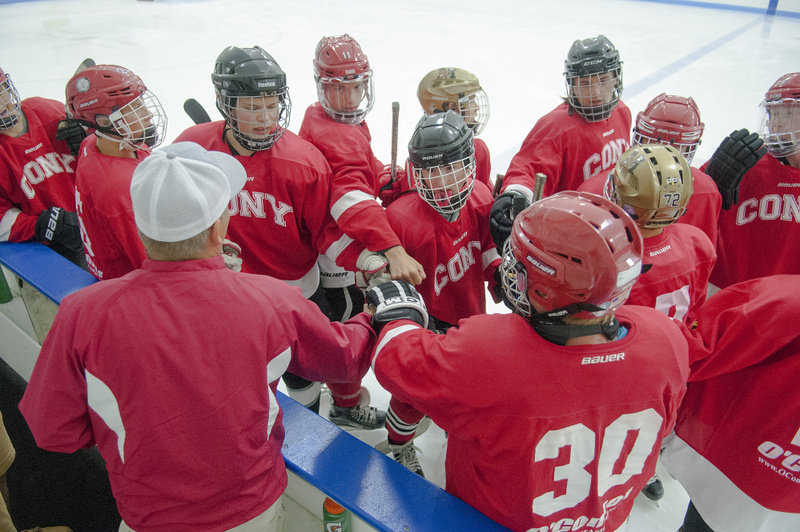 There were 12 players dressed for Cony on Friday, just less than half of the players in the team’s varsity program, which Johnson said has been typical of the eight-game season. Gardiner had the same number of players on one of the two teams it has entered in the summer league, which also features a Messalonskee team. Most of the players playing are underclassmen, players who are getting their first glimpse of hockey at this level — like Dearborn — and trying to get some valuable ice time prior to winter. But while the summer nights are a great proving ground for young talent in a program, there are players like Bowie — players that are trying to prove as much to themselves as they are to other people. “I felt so bad when he got hurt. We all did,” Johnson said of Bowie’s junior season. “He went through a tough time last year, and I felt really bad for him. We just hope he stays healthy, because he’s a great goalie and somebody we really need.